It`s a little known fact that Robin Hood was a complete wimp who took all the credit for the grit in Maid Marian`s guts. It was, in fact, she who assembled and fought oppression with a bunch of prats known as the Merry Men - a dwarf called Little Ron, a Rastafarian, an ugly dolt by the name of Rabies and a yuppie called Robin of Kensington. 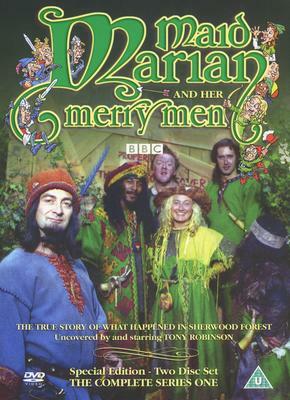 Doing incredibly brave things like piercing their ears and rescuing tadpoles, Marian and her men combat the cruelty of a mad, bad, king called John and his villainous Sheriff of Nottingham. 1. How The Band Got Together. 2. Robert The Incredible Chicken. 3. A Game Called John. 4. The Miracle Of St.Charlene. 5. The Sharp End Of A Cow. 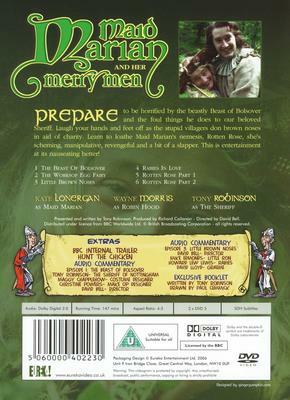 - Audio Commentary Episode 1, Tony Robinson. - Quiz Written By Tony Robinson. - How The Germans Saw It. - Exclusive Booklet Written By Tony Robinson, Drawn By Paul Cemmick. Prepare to be horrified by the beastly Beast of Bolsover and the foul things he does to our beloved Sheriff. Laugh your hands and feet off as the stupid villagers don brown noses in aid of charity. 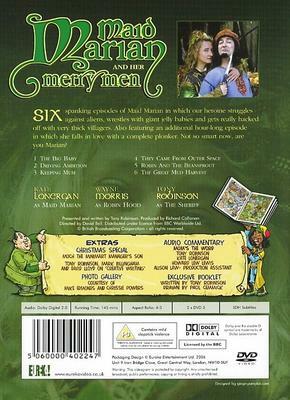 Learn to loathe Maid Marian`s nemesis, Rotten Rose, she`s scheming, manipulative, revengeful and a bit of a slapper. This is entertainment at its nauseating better! Audio Commentary: Episode 1: The Beast of Bolsover. 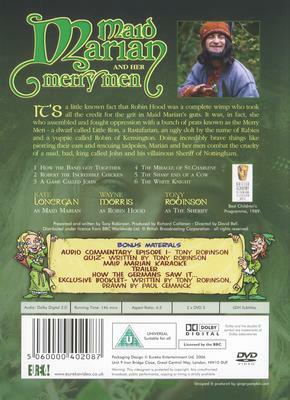 Tony Robinson - The Sheriff Of Nottingham. Maggy Chapplehow - Costume Designer. Christine Powers - Make Up Designer. David Bell - Director. Audio Commentary: Episode 3: Little Brown Noses. David Bell - Director. Mike Edmonds - Little Ron. Howard Lew Lewis - Rabies. David Lloyd - Graeme. Exclusive Booklet: Written by Tony Robinson. Drawn by Paul Cemmick. 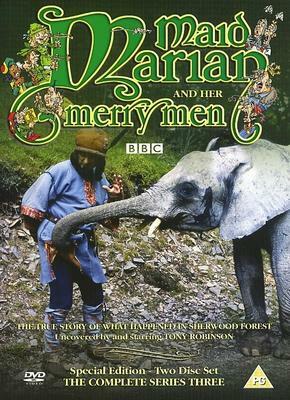 Six spanking episodes of Maid Marian in which our heroine struggles against aliens, wrestles with giant jelly babies and gets really hacked off with very thick villagers. Also featuring an additional hour-long episode in which she falls in love with a complete plonker. Not so smart now, are you Marian? 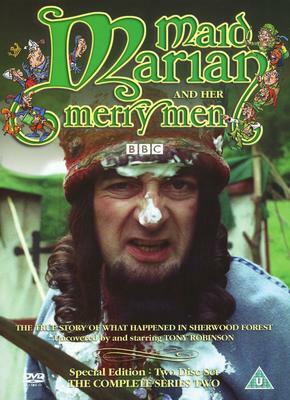 Like bird flu, Jade Goody and the M4/M25 interchange, Maid Marian is a British icon. 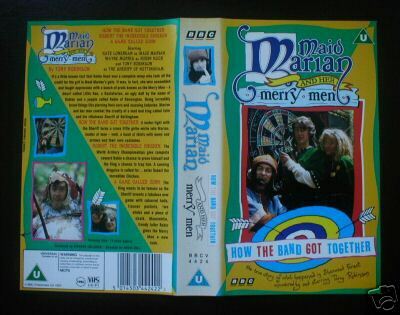 In this, the final series of the muddy extravaganza that is Maid Marian and her Merry Men, Rabies grows wings, Robin turns nasty and the peasants celebrate High Forks night, "Remember! Remember! The 27th of April." 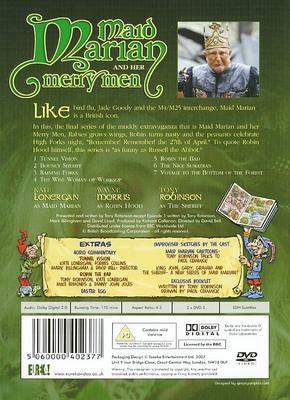 To quote Robin Hood himself, this series is "As funny as Russell the Abbot." Audio commentaries on episodes 1 and 5. Improvised sketches by the cast. 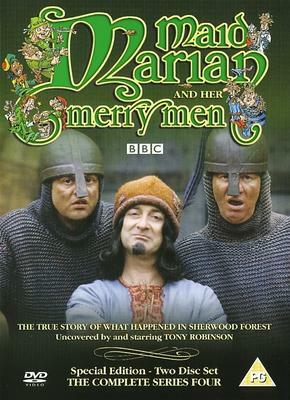 Three episodes from the childrens TV series 'Maid Marion And Her Merry Men', a comedy which sees Maid Marion as the gutsy leader and Robin Hood as a wimp. 'How The Band Got Together', 'A Game Called John' and 'Robert The Incredible Chicken'. 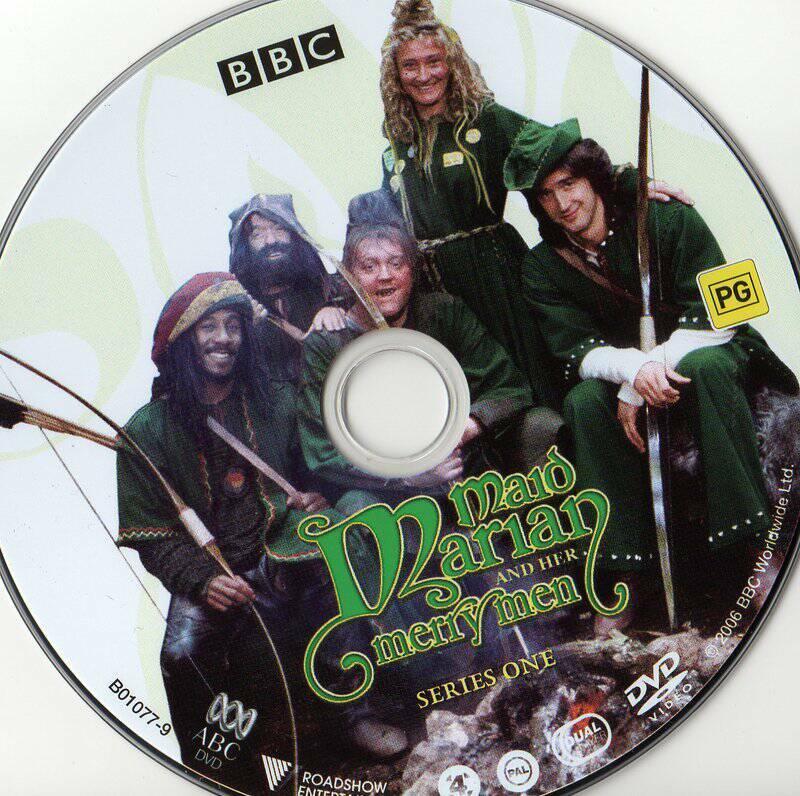 Three episodes from the childrens TV series 'Maid Marion And Her Merry Men', a comedy which sees Maid Marion as the gutsy leader and Robin Hood as a wimp. 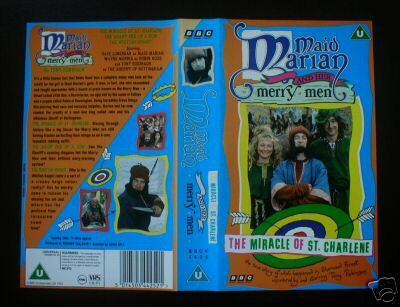 'The Miracle of St Charlene', ''The Sharp end of a Cow' and ''The Whitish Knight'.